Writing is my dream job, but my day job is actually about as stodgy as it gets. The forced conformity has started to chafe like an ugly polyester uniform, over a girdle in a size too small, and toe-pinching heels. All around me, I see tattoos decorating arms, legs, wrists, and backs. 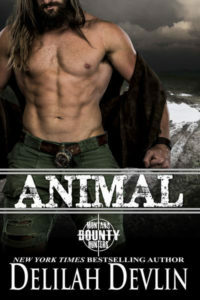 The book covers in my favorite genres sport heroes with tattoo-painted muscles. The real me wants purple hair, a piercing, and a couple of tattoos. My characters have the freedom that I am denied. In Too Fast, Savannah has her nose pierced, and Luke has a tattoo. They live in Athens, Georgia, home of the University of Georgia, and a city close to my heart. In Athens, the unique mix of music, culture, and higher education has fostered an environment that encourages individuality. Luke is no billionaire. In fact, he’s got the responsibilities of a man twice his age and the means of a twenty-year-old. Luke wouldn’t spend money on a tattoo without a good reason. Since he didn’t have any friends who were tattoo artists (which by the way, each of us should have), Luke needed body art with real meaning. His art signified his commitment to caring for his younger sister. He works to shield her from the tumultuous home life caused by his mother’s mental illness. Luke’s tattoo ends up playing a big role in the story. I believe that the act of getting a tattoo always has meaning—sometimes a rite of passage, coming of age, or act of bravery. I have seen body art honoring loved ones, memorializing special events, and featuring literary characters. Do you have a tattoo with special meaning? How do you express yourself through body art? Twenty-year-old Savannah enjoys a one-time one-night stand because a real relationship would never fit into her busy schedule. Working two jobs and pursuing her degree takes all of her time. Besides, the guys she has dated haven’t been much better than the random barfly. It’s a good thing Luke’s body is honed by the long hours of carpentry and construction because he carries the weight of his family on his shoulders. School hasn’t been an option for him since he dropped out to make the house payments his mother had failed to make. Luke finds what he’s been longing for in a night with Savannah. 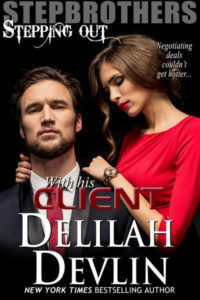 She’s determined to stop with a one-night stand, but he wants more. Neither can deny the perfection of their passionate interludes, but with such imperfect lives, do they have any chance for a future together? Suddenly they’re falling in love but it’s all happening much too fast. This entry was posted on Thursday, November 28th, 2013 at 6:00 am in General. Tagged: Guest Blogger. You can feed this entry. Both comments and pings are currently closed. I have 3 tattoos. The first, a dragonfly I got 3 months after I finished my chemo treatment for breast cancer. The dragon fly itself meant nothing, but that tattoo meant everything. Tattoo #2, a rose wrapped around a pink cancer ribbon, was for 5-years cancer free. And tattoo #3, the words “live, love, laugh” with 10 stars was to celebrate 10-years free. I’m now up to year 12, and I’m planning to go in the summer to get 4 cancer ribbons tattoo’d on my foot…a pink for breast cancer, a grey one for my uncle who just passed away from brain cancer, a white for my father-in-law who lost his battle with lung cancer, and a lavender one which is considered the “all cancer” ribbon. So yeah, mine have a special meaning. I couldn’t ask for a better example, Charlotte. The dust and cobwebs are clearing from the cultural anthropology major hidden in the recesses of my brain. Yours could be seen as celebrations of life but also as medals of honor or markings of a warrior who has been successful in battle. So much to celebrate! And the ribbons on your foot sound absolutely perfect for honoring your family. Thank you for posting and especially for sharing the meaning behind your tattoos! I don’t have any ink. While I don’t mind needles, I do scar easily. There’s also the major detail that I have a number of allergies. I’ve seen some beautiful ink out there. However, I suspect I’d end up in the horror story pictures through no fault of the artist. Yes, Virginia! I also have that fear regarding allergies. It’s not easy to get that ink out of your system if necessary. On the other hand, the toxic Diet soft drinks I keep pouring in aren’t helping either. And I know that I should be scrubbing harder and just using baking soda and vinegar to clean instead of the strong stuff. I think I could go ahead with the tattoo, but it isn’t an unrealistic concern to have. There must be other ways to celebrate and to honor without the ink, but the ink sure is appealing. Thanks for commenting! No tattoos or other body art on me. I’m not that creative. I am not one who would get a tattoo…but I don’t wear makeup or fingernail polish either…I salute those who are brave enough to have beautiful designs permanently affixed to their bodies but I am definitely not one of them!